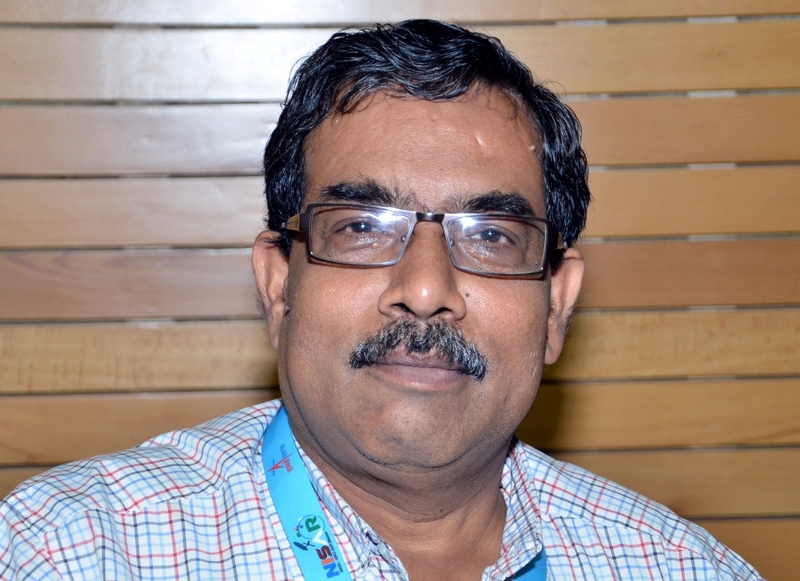 Mr Tapan Misra, Outstanding Scientist and Deputy Director, Microwave Remote Sensing Area of ISRO’s Space Applications Centre (SAC), Ahmedabad, has assumed the office of the Director, SAC. Mr Tapan Misra graduated in Electronics and Telecommunication Engineering from Jadavpur University, Calcutta in 1984. He was awarded the prestigious Sir J C Bose National Talent Search (JBNSTS) Scholarship in 1981. Mr Tapan Misra began his career at SAC as digital hardware engineer responsible for the development of Quick Look Display System of X-band Side Looking Airborne Radar in the year 1984. Later, he became the lead member of the team which designed and developed C-band Airborne Synthetic Aperture Radar (SAR). He developed an important algorithm for real time processing of SAR data during his tenure as Guest Scientist in German Aerospace Agency (DLR) in 1990. Mr Tapan Misra mainly contributed to the system design, simulation, integration, checkout and ground calibration for Multi-frequency Scanning Microwave Radiometer instrument which was carried on-board India’s OCEANSAT-1 satellite. Following this, he led the team which developed a special airborne radar system called DMSAR (SAR for Disaster Management) during 2005-2006. He also led the development of Scatterometer payload of Oceansat-2, launched in 2009 which provided valuable wind related data to global meteorological community. Mr Tapan Misra was the lead designer for the development of C-band Synthetic Aperture Radar of India’s Radar Imaging Satellite-1 (RISAT-1). His leadership has led to the development of critical technology elements essential to RISAT in partnership with Indian industry. Thus, since 1984, Mr Tapan Misra has been responsible for system design, planning and development of Microwave Remote Sensing Payloads of ISRO. As Deputy Director responsible for Microwave Remote Sensors Area, he has led the team to develop futuristic remote sensing systems including a variety of advanced Radars, millimetre wave Sounders and an advanced Scatterometer. Mr Tapan Misra is also heading the Office of Innovations Management of ISRO at ISRO Headquarters, Bengaluru. Mr Tapan Misra was awarded Hari Om Ashram Prerit Vikram Sarabhai research Award in 2004 and ISRO Merit award in 2008 for his contribution to the development of SAR technology. He was elected as Fellow of Indian National Academy of Engineering in 2007. He was also elected as Corresponding Member of International Academy of Astronautics in 2008. He has 2 granted patents, 6 pending patents, 5 copyrights and many research papers to his credit.